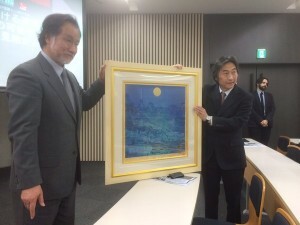 Last week, The International Confederation of Authors and Composers Societies (CISAC) together with the Japanese Society for Protecting Artists Rights (JASPAR) have met with the Commissioner of the Japanese Agency for Cultural Affairs (Bunka-Cho) within the Ministry of Education, Culture, Sports, Science and Technology in Tokyo. 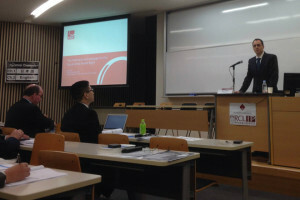 Co-hosted under the Research Centre for the Legal System of Intellectual Property (RCLIP) of Waseda University under the name “The Potential for Introducing the Resale Right“, the symposium was a major step forward in CISAC’s international campaign for the universal introduction of the Resale Right. A number of presentations on the topic were held by legal experts from France and the UK, as well as from CISAC Director General Gadi Oron, which presented an overview on the collective management of rights in the visual arts sector, together with the latest development of the Resale-Right campaign. Dr. Akiko Ogawa, Adjunct Researcher at the RCLIP, Waseda University, and a Director of JASPAR, explored the potential for implementation of the right in Japan. The following roundtable discussion provided an opportunity for artists Kazuhiko Fukuoji (renowned visual artist, member of the Japan Art Academy and Board member of JASPAR), Katsumi Nagashima (member of the Photographic Society of Japan), Akihiro Yoshizawa, Director of JASPAR, and Yasuro Horikiri, Chairman of the Copyright Committee of the Japan Professional Photographers’ Association to explore the benefits of the Resale Right. They have put forward positive arguments and urged the introduction of the Resale Right in Japan, where there is a powerful art market but where the right is currently inexistent. The reciprocal nature of the Resale Right thus leads to many Japanese artists failing to secure a royalty each time their works are resold by art market professionals. 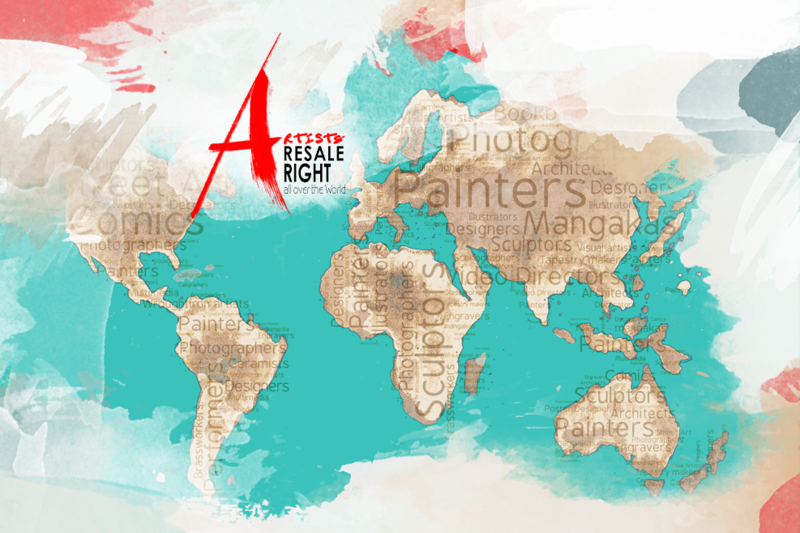 This shortcoming is more obvious as currently there are over 70 countries across the world implementing the Resale Right, with many more countries which host very influential art markets making steps forward for an adoption. In the USA, the American Royalties Too (ART) is still on the table, with many debates ocurring across the country, in the light of a recent decision of the Supreme Court. In Canada, the Canadian Artists Representation (CARFAC) is also heavily advocating for an introduction of the right. China’s policymakers have also introduced the right in a draft copyright bill, which is still being discussed. In Switzerland, with a review of the copyright law started late 2015, the Resale Right is also being discussed. Support is also seen by the art market professionals, where a gallery in New Zealand – Bowerbank Ninow – has distributed the resale right royalties relevant to a successful inaugural auction at the end of 2015. Despite New Zealand not having the right in its legislation, such positive signals are always encouraging for a future addition of the right within New Zealand’s copyright law. Last but not least, the World Intellectual Property Organisation’s DRAFT Agenda for the upcoming Standing Committee on Copyright and Related Rights, due to take place from 9 to 13 May 2016, features the proposal from Senegal and Congo to include the Resale Right in the Agenda of Future work within WIPO.